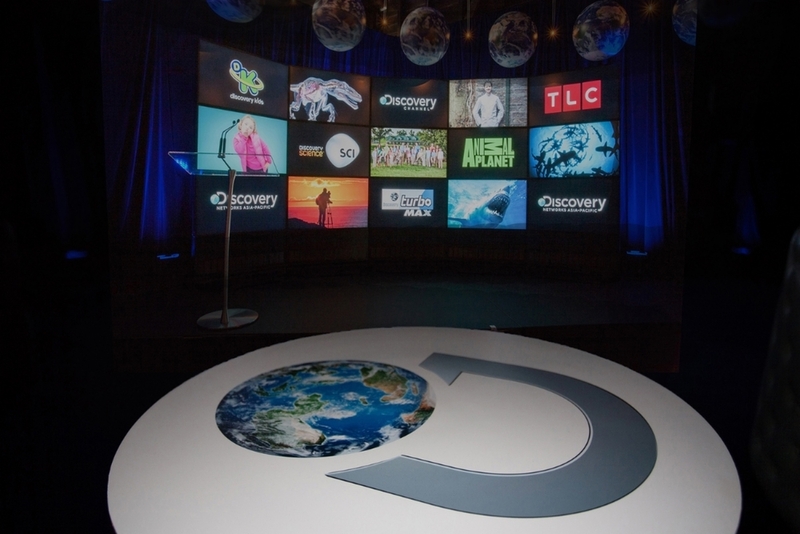 The 2014 Discovery Networks Upfronts focused on the new world of Discovery Networks. 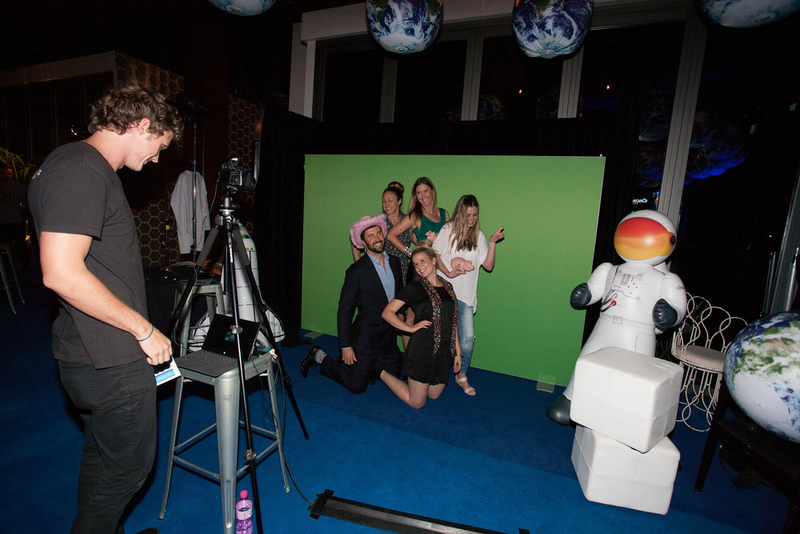 One of the highlights was the launch of Discovery Kids and Robert Irwin's new show, Wild but True. 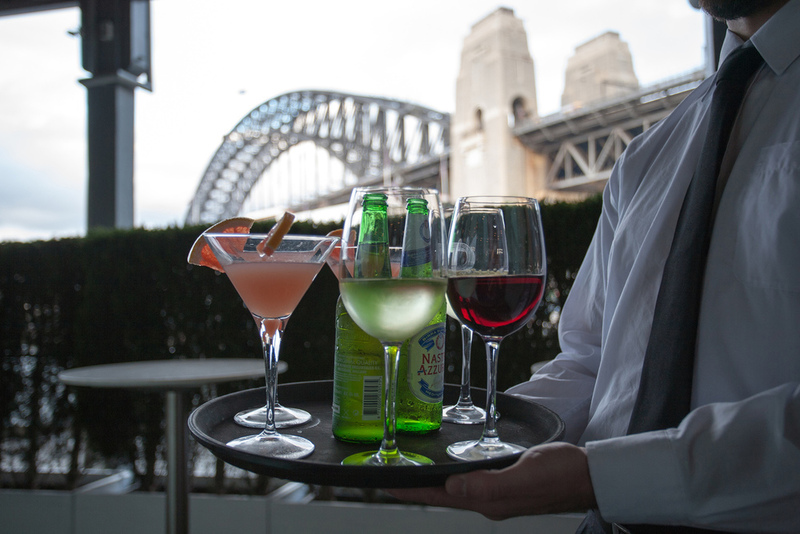 With Sydney Harbour as the backdrop guests were engaged in an array of activities including an interactive green screen photo wall, a custom Abalone Wars game and life-like dinosaurs that wandered around the venue engaging the guests and posing for selfies. 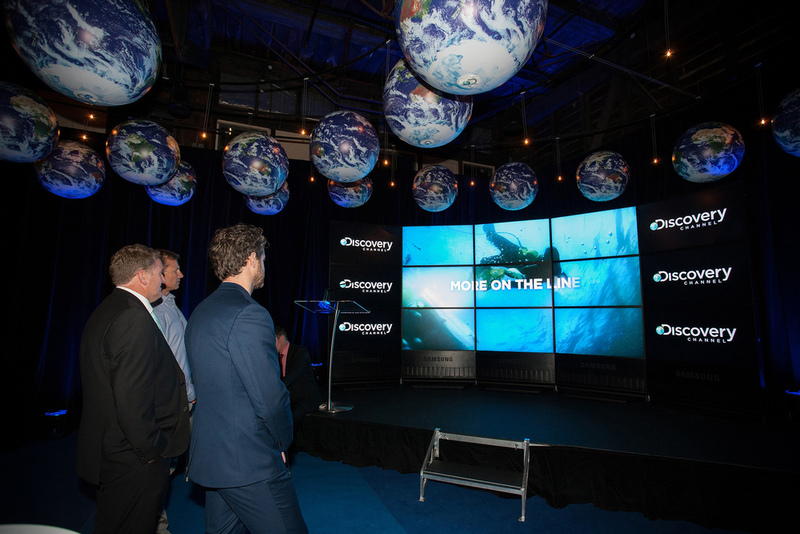 The latest technology was used to bring the Discovery owned shows to life by way of a large, curved screen containing 16 TV sets which enabled TCM to brand the event and showcase the diverse range of properties for the network. 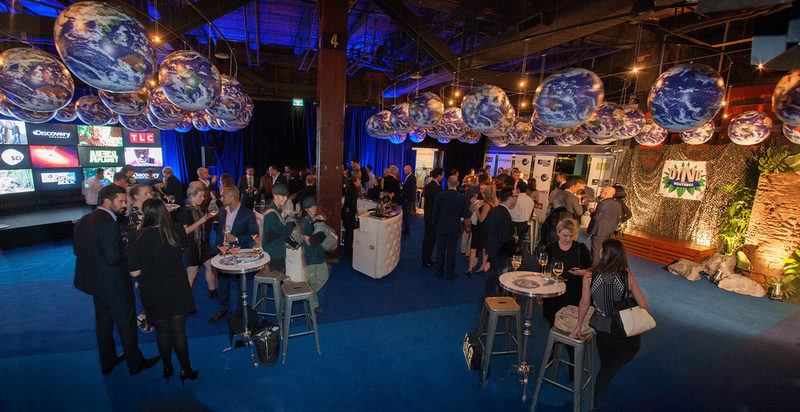 Over 100 inflated globes were hung from the ceiling to round out the theming for this event.